Interesting facts about regions, history, culture, geography and nature as well as the countries' different sights impart general knowledge which is fun to learn and up to date. Dimensions of the map: 100 cm x 70 cm. The Desk mats are free of softeners or pollutants. They are anti-slip and scratch-proof, sturdy and of high quality. These desk mats are sold per package of 10 copies. 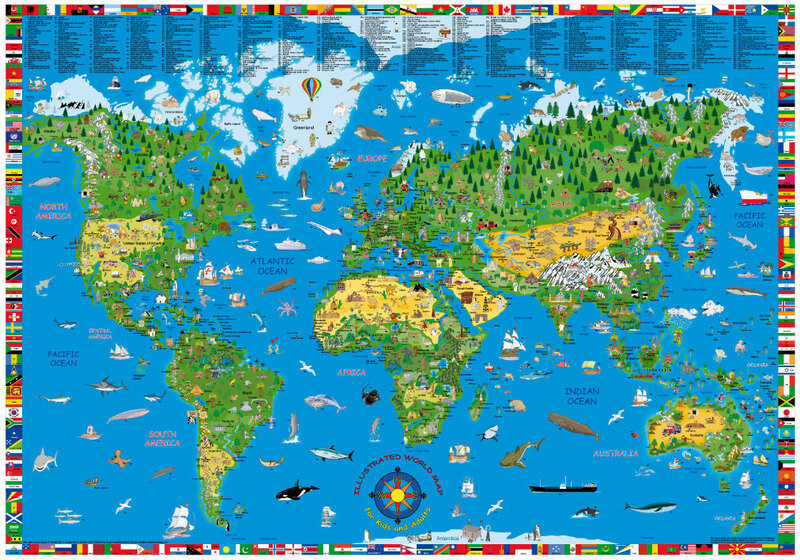 This Children's Illustrated flat World Map, is a fun and educational way of displaying the world to younger explorers. 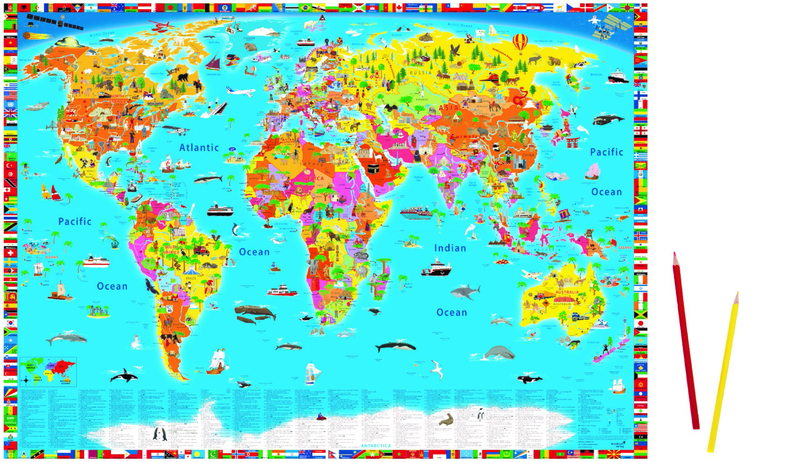 Bright and colourful cartoon illustrations attract interest and attention to different areas of the world, linking items with correct geographical locations, inevitably encouraging your child’s interest in and understanding of the world. The wall poster is as informative as it is entertaining and gets us closer to the world we are living in. The map is framed with images of country flags, alphabetically arranged and labelled. 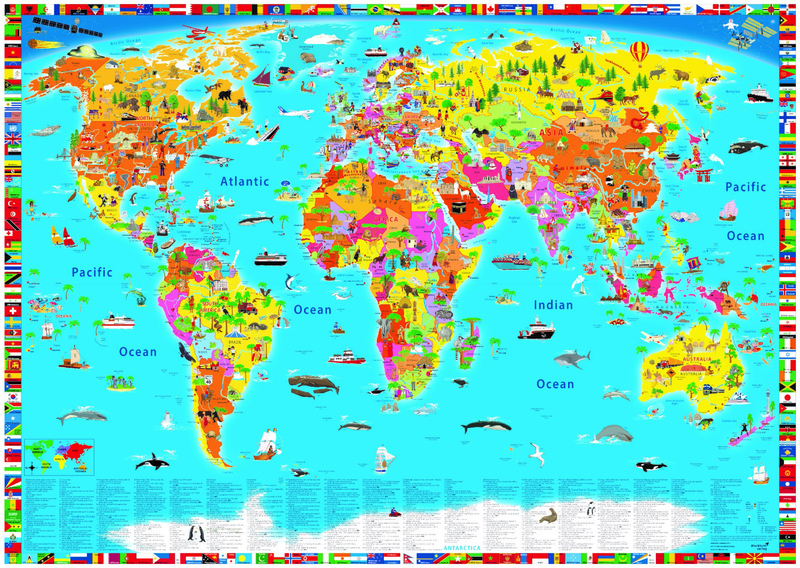 A world map that fascinates, captivates and is of outstanding quality. An absolute delight for children of all ages up to 80! 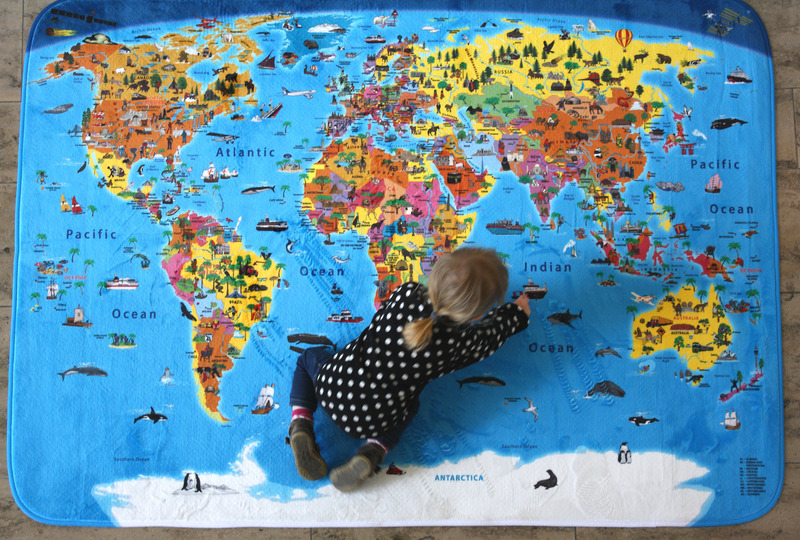 This popular Children’s map is now available as a Desk Mat, scratch-resistant and skid-proof and will be a useful educational tool both in the classroom or at home. 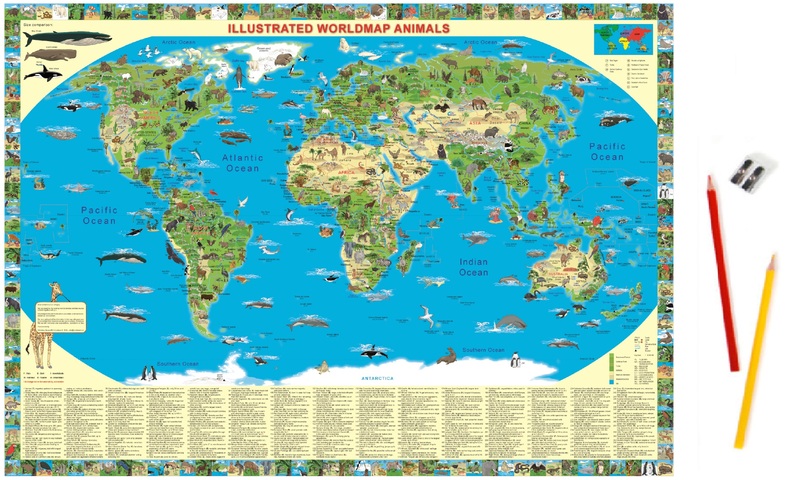 Experience the wonderful world of animals with this informative, richly illustrated world map of the animals! Gathering knowledge is a fantastic experience! 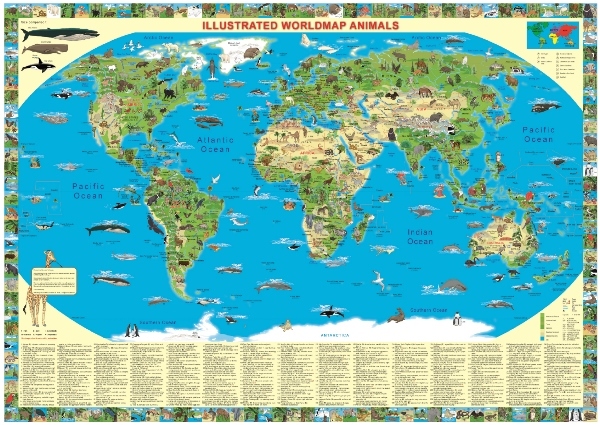 This decorative and attractive world map of the animals from Krüger & Schönhoff, with lots of information, invites the young and adult animal lover to admire and understand better the world of the fauna! This map contains a wide selection from the smallest animal to the most dangerous. The map gives extensive information on endangered species, on the variety of the way of surviving of the different animals and extra interesting facts. 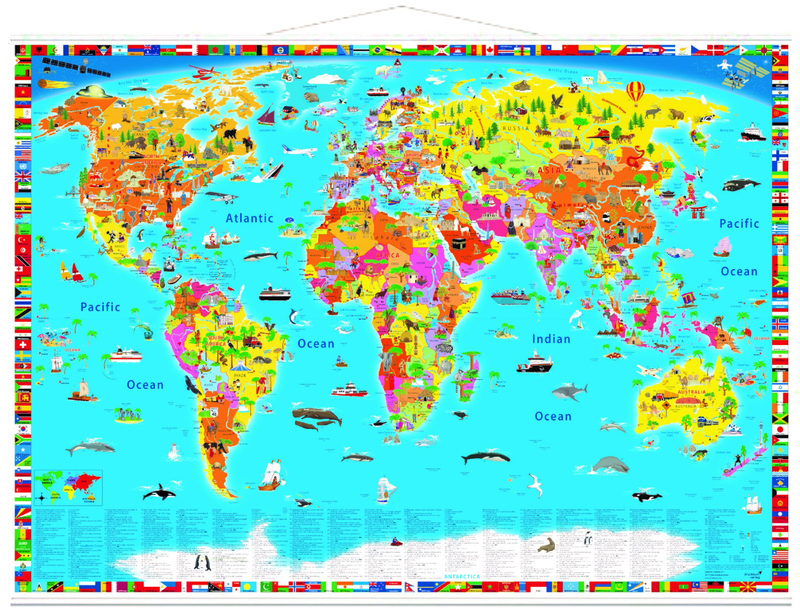 This map offers an answer to the many questions from children and anyone interested in the many facets of nature and the environment. There's also a desk pad on the same theme.